If there’s one player the Blue Jays can least afford to lose, it’s Josh Donaldson. He’ll be on the shelf for 2-3 weeks with a calf injury, and that’s one the topics covered on this week’s Blue Jay Hunter podcast. Also, the Blue Jays’ front office has curiously chosen to declare Justin Smoak will be the team’s everyday first baseman. Plus, diving into the signing of Mat Latos and a few comments on Troy Tulowitzki’s scrum with reporters from last week. That and all your Blue Jays questions answered on this week’s BJH podcast. This episode is available through the Soundcloud player below and is 25:38 long. Now you can subscribe to the Blue Jay Hunter podcast on various platforms: iTunes, Stitcher and Google Play Music. Alternatively, you can subscribe to the BJH Podcast RSS feed to get the latest episode as soon as it’s published. 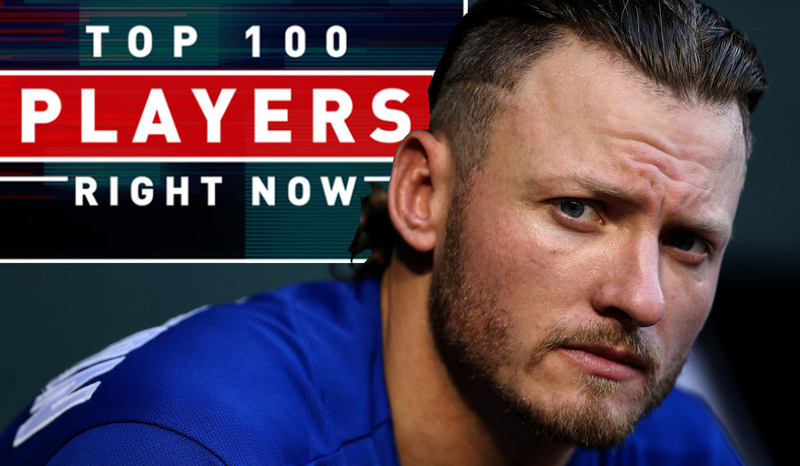 0:53 | Josh Donaldson’s calf – something to worry about? What Would These Blue Jays Players Look Like with Jose Bautista’s Beard?